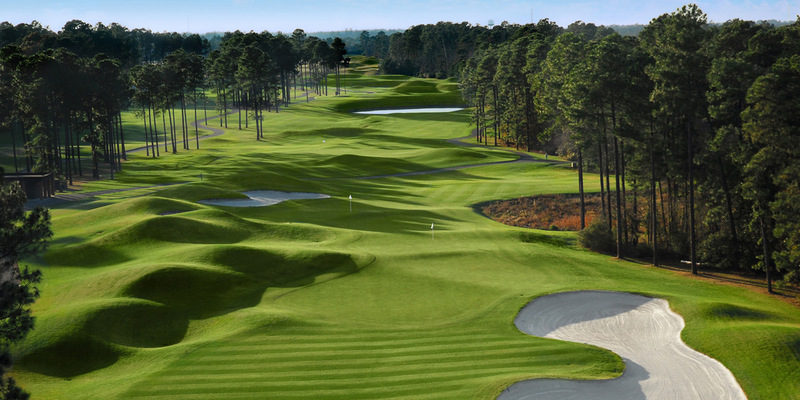 Just inland from Myrtle Beach, Wild Wing Plantation is a fantastic 27-hole layout designed by Larry Nelson and Jeff Brauer. With over two decades of history satisfying local and visiting golfers, Wild Wing is a 4 star rating recipient from Golf Digest. The course features varying contours, a multi-level look with elevated tees and greens and unique aspects like a double green serving two holes. The Avocet course is an 18-hole course that will delight golfers of all abilities, and for those seeking a 9-hole round, be sure to experience the Hummingbird course, a perennial favorite for a half-day of golf.